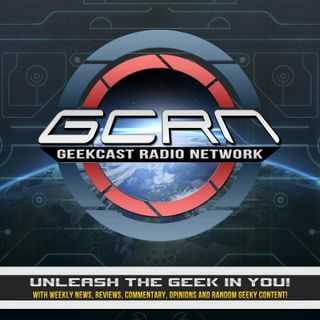 The GeekCast Radio Network is a geek media network taking you back down memory lane reminiscing on the past, while taking care in the present and future of all things geek. Explicit 97 - Wreck It Ralph 2: Ralph Breaks The Internet! Explicit Streaming Disney+, Incoming Trailers With Leaks (not here)! Explicit Geek Responsibly S2 E10: Avengers Endgame, Apocalypse, and Dusty Cats! Explicit Mayhem Mics - EP 49 - WWE The Road To Wrestlemania 35! Explicit Geek Responsibly S2 E9: Say my name... SHAZAM! The show that truly talks All Things Transformers. Steve and the guys break down news, characters, the series, releases and information. Embark on a shadowy flight into the world of The Knight Rider. Covering the classic 80’s TV series, the 1990 film, Team Knight Rider, & Knight Rider 2000. Weight loss and improving your life 1 day at a time. I am here to help those looking to better themselves with the knowledge I've gathered in my journey. A Power Rangers centric show. Each episode breaks down the series, the tech, the rangers, the tools and the franchise as a whole. The Flagship show in which we discuss random geek topics per episode. Also features our featured Top 100 Countdowns, and Awards shows. Reviewing All Things Batman, CWTV (Arrow/Legends/The Flash/Supergirl), Gotham, Superhero News and the Animated Films. A full on review podcast of that awesome 80’s cartoon M.A.S.K. join them as they analyze all 75 episodes of the cartoon. UNLEASH THE GEEK IN YOU! A Cartoon Review show based out of the Video Games that Spawned them. We review Mega Man, Mario, Zelda, Mortal Kombat and more! A Series Review podcast covering the entirety of Boy Meets World and Girl Meets World. Podcast Organization Without a Cool Accronym is a Disney's Phineas and Ferb review podcast. The Jem and the Holograms review podcast. We review all 65 cartoons in a 25 episode long podcast. We even have Creator, writer, and voice actor interviews. Stay connected with Talking in Circles a pop culture talk show where hosts Dan, Greg, and Chuck wax poetic about comic books, movies, television shows, and pretty much anything else in geek culture. The TeamBotimus Variety Hour featured random ramblings from Optibotimus, TFG1Mike, SlimeBlower Bob, DarthDevious discussing and ranting a variety of topics. A Review Show which showcases the various Sagas, Films, Games, Characters, Comics and everything to do with the series Dragon Ball Z/GT/Super. The show that explores by episode the shows we grew up with. From Nickelodeon to Cable TV we dive in and see what made them great over the years. Take a look at all 98 episodes of the Generation 1 Transformers Cartoon. There are 24 pulse pounding episodes dedicated to the G1 cartoon. This show presents a breakdown and review of the Transformers Animated Series. Each episode we go into detail on a series of the episodes of the cartoon. Unleashed Thoughts and Opinions on a Variety of Topics, Tech, and Experiences.